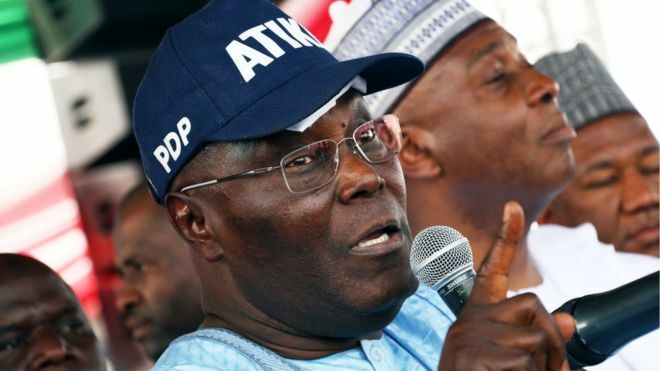 The Peoples Democratic Party (PDP) presidential candidate, Alhaji Atiku Abubakar, has been described as Nigeria's political operator with the Midas touch. The description was by the British Broadcasting Corporation (BBC) in an article posted on its website on Wednesday, February 6. The BBC article comes at a time when there are rumours that Atiku has gotten the backing of western countries in his quest to be Nigeria's leader. Read excerpts of the article below: The man aiming to wrest the Nigerian presidency from Muhammadu Buhari has built a career circling the summits of public life. Atiku Abubakar has been a top civil servant, a vice-president, and a prominent businessman and philanthropist, making his fortune in the oil sector and giving some of it away to charity. The highest office in the land has, however, eluded him. On three occasions, he has tried for the presidency and fallen short. On 16 February, the 72-year-old tries again, offering his credentials as a seasoned political operator and serial entrepreneur as the remedy for Nigeria's ills. His campaign is exploiting the contrast between his image and that of an incumbent who has become a target for much of the frustration over the economy. Mr Buhari's critics say his personality – austere, aloof and inflexible – has proven ill-suited to the demands of governing Nigeria, even if it helped him win the last election, lending credibility to his pledge to fight corruption.